Sign Up For Free Daily Deals! This post may include affiliate links. Go here to see my full disclosure policy! Check your HEB mobile app for a new digital coupon, good for $2 off your basket when you buy $6 or more of toilet paper -- any brand! This coupon is limit one use per app and it's valid through July 17, 2018. 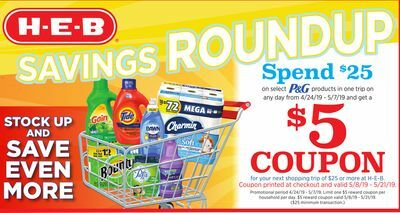 And since it's a basket coupon, remember you can use it with manufacturer coupons or yellow HEB coupons for additional savings! PLUS we still have the $10 P&G catalina promo running through Tuesday, July 10! 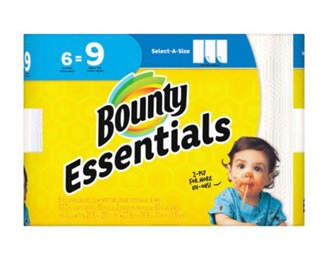 Bounty Select-a-Size Essentials Big Roll Paper Towels -- priced at $5.74 each, with $1 off yellow coupons available in stores or on the HEB mobile app. Secret Deodorant -- priced at $1.74 apiece, with $1 off yellow coupons available in stores or also on the HEB mobile app. Buy four packs of Bounty Essentials and five Secret deodorants for a pre-coupon price of $31.66. Enter in your digital app info at checkout to use your $2 off basket coupon. That knocks your price down to $29.66 for all nine items. Next, give four $1 off yellow coupons for the Bounty, and five $1 off yellow coupons on the Secret deodorant. Pay $20.66 out of pocket, then receive your $10 catalina coupon to use starting Wednesday, July 11. That's like a final price of $10.66 for all nine items, or only $1.18 per item! REMINDER: I can't guarantee that everyone will get these new offers -- these types of high-value coupons usually are sent only to mobile app users who also receive emails and texts from HEB. If you're not receiving both texts and emails from HEB but you think you signed up, I recommend calling HEB Corporate Customer Service at 1-800-432-3113 to troubleshoot your account! You could also tap your name in your HEB mobile app, then go to My Notifications, then turn on Get Extra Offers and Promotional Notifications. And if you haven't signed up yet, you can go here to get started. Check your HEB digital coupons here. Want to get daily HEB deals delivered to your email for free? Click here to join! 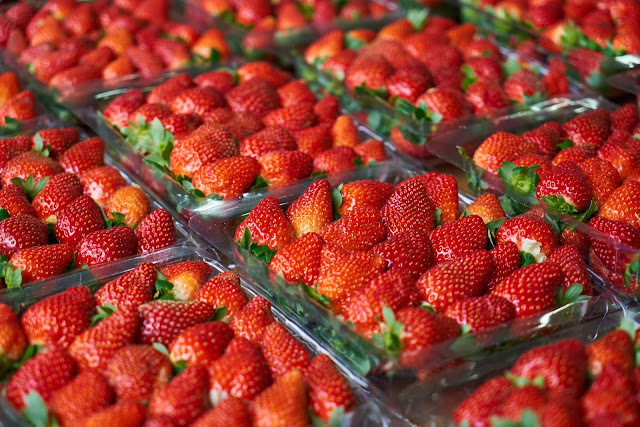 Fresh Strawberries As Low As Free! 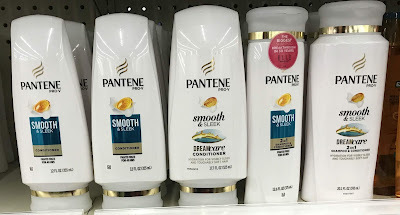 $5 P&G Catalina Promo Back Again!